Why do I want to learn to fly? Do I want to fly for fun? Am I seeking a flying career? Request all available literature from each school. Do not be misled by glossy pamphlets and catchy sales pitches. While reviewing the material, take notes for questions during the school visit. The school's philosophy, goals and objectives. Do they match or come close to yours? How many students have graduated and how many do they have right now? What is the classroom facility like? What kind of aircraft are used for training? Listen closely and ask questions about everything. How does the CFI (Chief Flying Instructor) supervise flight training in the school? How many students does each instructor have? Will you have a principal instructor or will your booking time dictate who you fly with? How the training is scheduled (1.5 versus a 2 hour booking)? Is there a no show policy, cancellations due to weather? Is Ground School run continuously or on an as required basis? How does the school's insurance cover you as a student from both personal protection and personal liability perspectives? How often does Ground School usually run? Qualifications of the instructors teaching Ground School? Is it a scheduled class over a period of several weeks? Are there any additional resources that contain material for additional study? Check out the training aircraft!! What is important is how well airplane is equipped and maintained. The number of aircraft a school has should depend on the number of active students. How a school maintains them is important for both safety and scheduling. 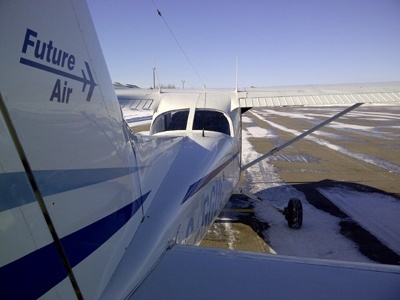 Ask questions on how the maintenance is carried out and the overall reliability of the school's aircraft fleet. 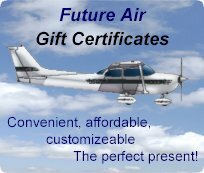 The most experienced and highest rated instructor holds a Class I Flight Instructor Rating. 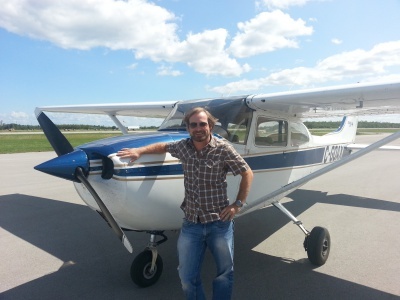 The newest instructor has a Class IV Flight Instructor Rating. Talk to some of the other students at the school to ask about their instructors. A good instructor is one who strives for excellence and will work with you until it is achieved. He or she is also someone who cares about you not only as a student/client but as a person as well. Determine if what you get for your money is fair. if a deal seems too good to be true, it usually is. Read the fine print and ensure that you are making a comparison of equals. The method convenient to your schedule. Select the one that matches your personality. If you have any other questions that are not answered here, please contact us.